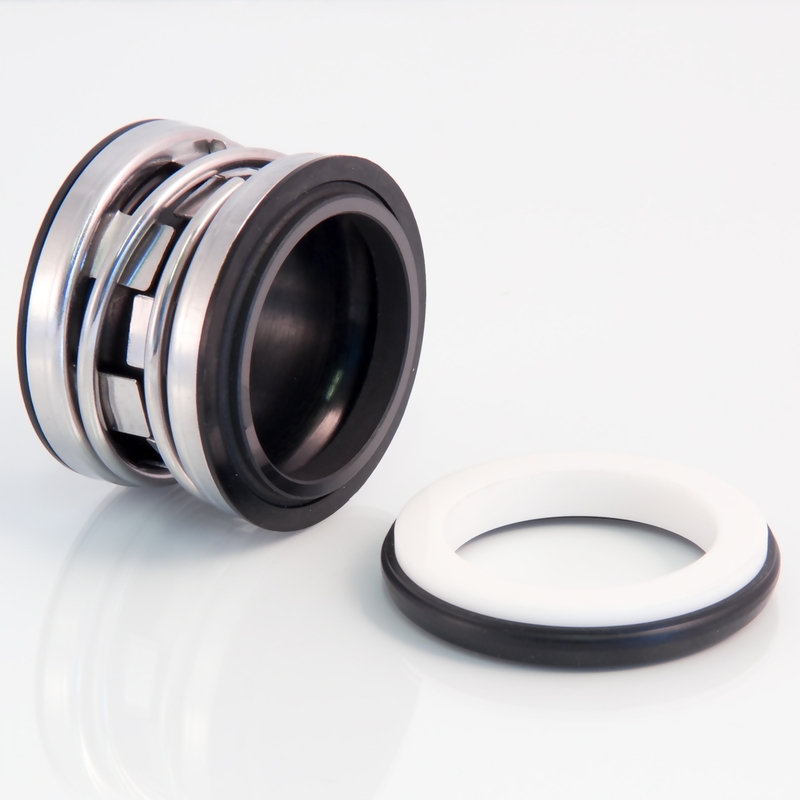 A compact unitized single spring elastomeric bellows shaft seal. 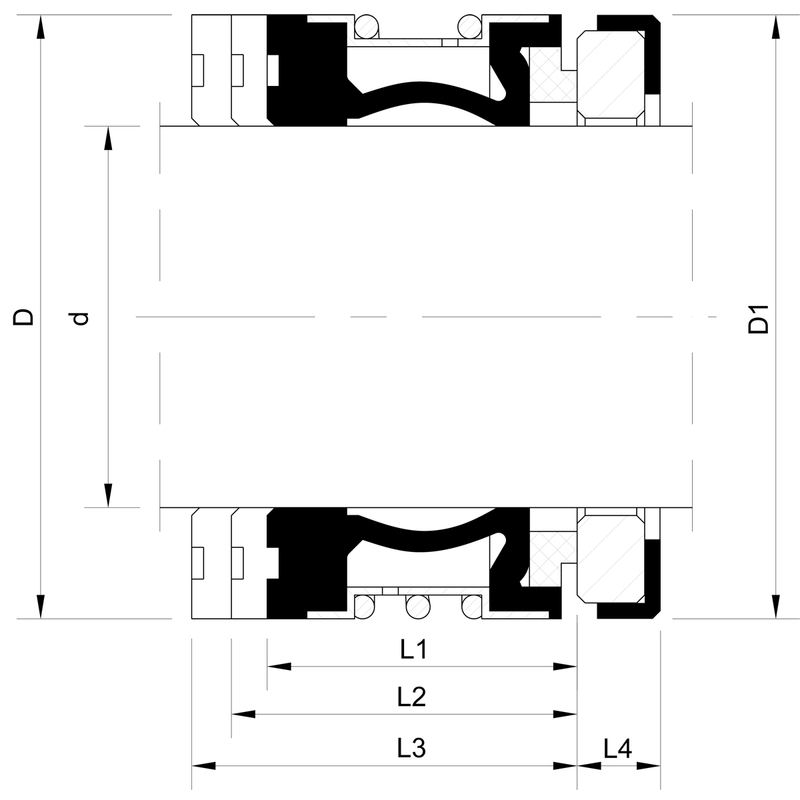 Innovative full convolution bellows and interlocking drive band design allows for positive drive and greater tolerance to misalignment. Interference fit of primary ring insures positive drive while avoiding high face distortions associated with crimped designs. Small centrifugal pumps used in Pool & Spa, Well Water, & HVAC applications. Pressures to 261 PSI. Temperature -95°F to +320°F.